"My reaction was pure amazement." 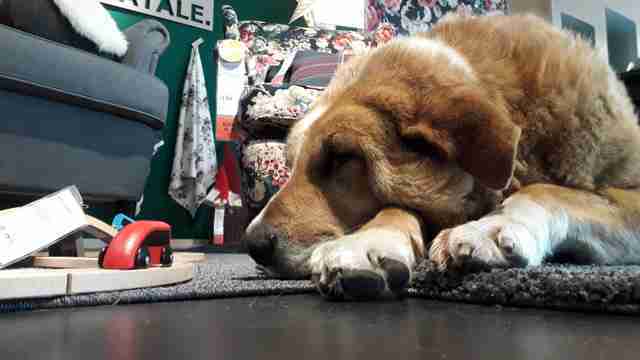 Staff at this IKEA store in Catania, Italy, have gone above and beyond merely selling furnishing to fill a house — they've begun providing a home to pups who need it most. And the reception from customers couldn't be warmer. Martine Taccia was on a shopping trip to the retail giant on a chilly autumn day recently when she was surprised to discover a group of dogs nestled cozily among a living room display. "My reaction was pure amazement," Taccia told The Dodo. "It's not a common thing." But, as it turns out, the dogs were local strays — and that little taste of home was actually a gift. Taccia came to learn that the store had decided to open its doors to homeless pups in the area to give them refuge from the elements. And the welcome came with more than just a safe place to stay. "The dogs receive daily food and pampering from IKEA's employees and customers," Taccia said. "Some dogs have even found a family, going home with customers." Though it does not appear that IKEA's Catania location publicly advertises this policy of letting in needy pups, it's certainly made a positive impression on guests like Taccia. Another customer, Beppe Liotta, was likewise smitten with the store's dog-friendly initiative. "I felt a feeling of deep tenderness and great happiness in seeing dogs crouched in the exhibition space at the entrance of the IKEA," Liotta told The Dodo. This isn't the first time IKEA has advocated for animals; the retailer once partnered with Home For Hope in a campaign to encourage pet adoption by placing cardboard cutouts of shelter dogs in its stores. Still, it's hard to beat the real thing. As a self-proclaimed animal lover, Liotta hopes other businesses will follow suit by opening their doors (and their hearts) to animals whose sad circumstances are all too often overlooked. "If all the stores that had the space would make a place of refuge for strays, I would be really happy," he said. And Liotta's certainly not alone.